If you are looking to wow guests then look no further than our striking Skyline Invitations. 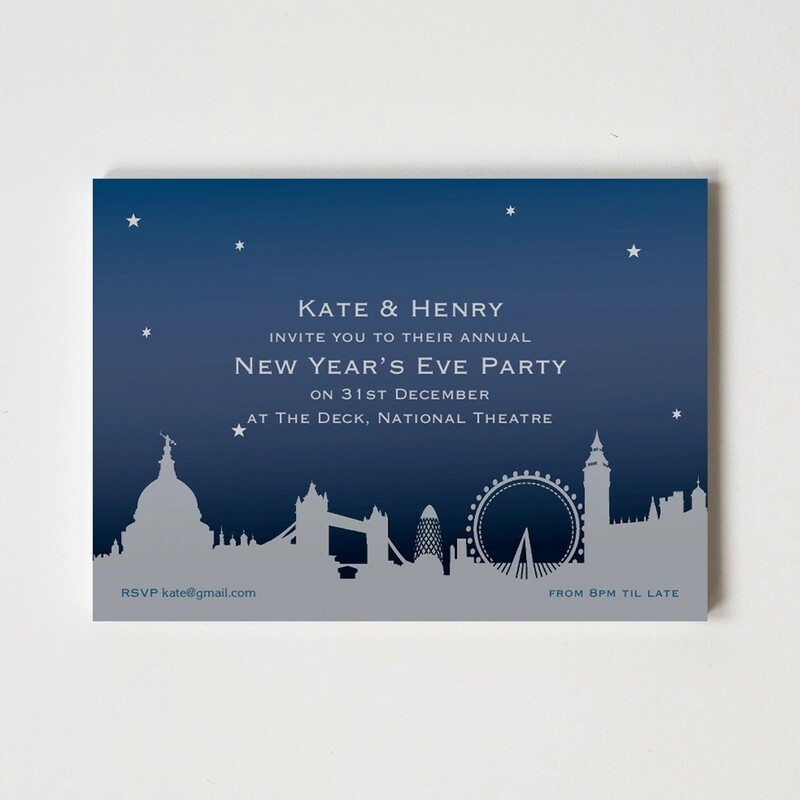 Measuring 178mm by 127mm and printed on 300gsm silver paper stock, our invitations showcase the famous London skyline which is cleverly printed with dark blue ink. Arriving with beautiful ivory envelopes our unusual skyline design is set to impress.